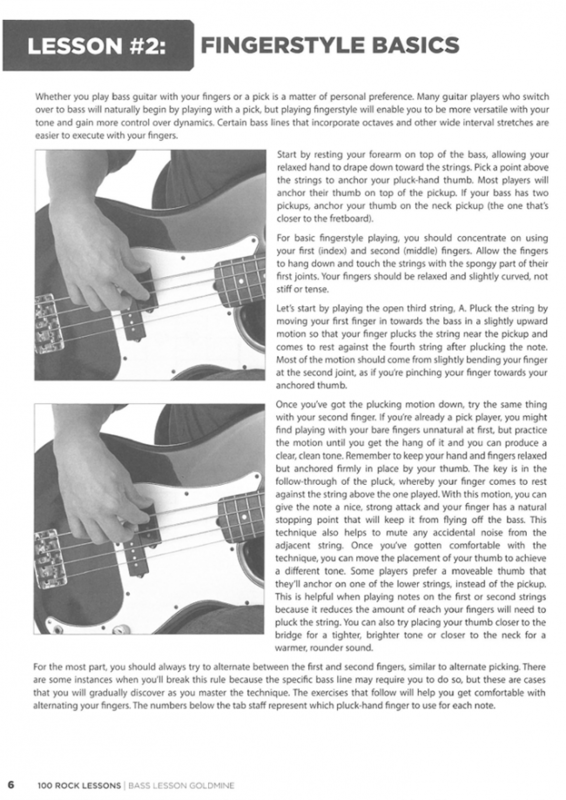 Expand your bass guitar knowledge with the BASS LESSON GOLDMINE series! 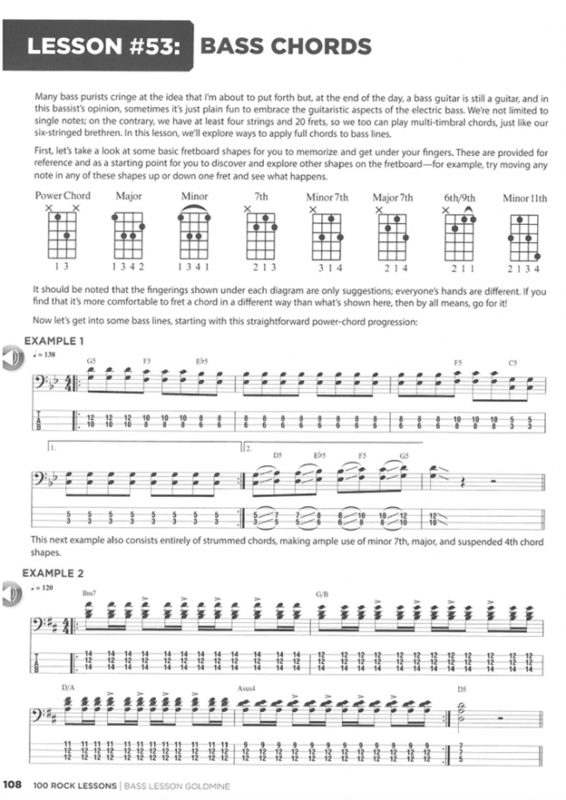 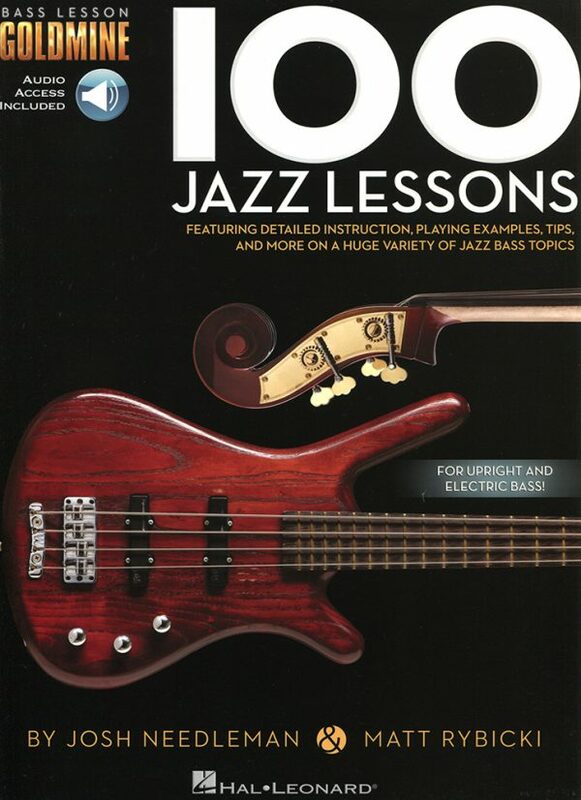 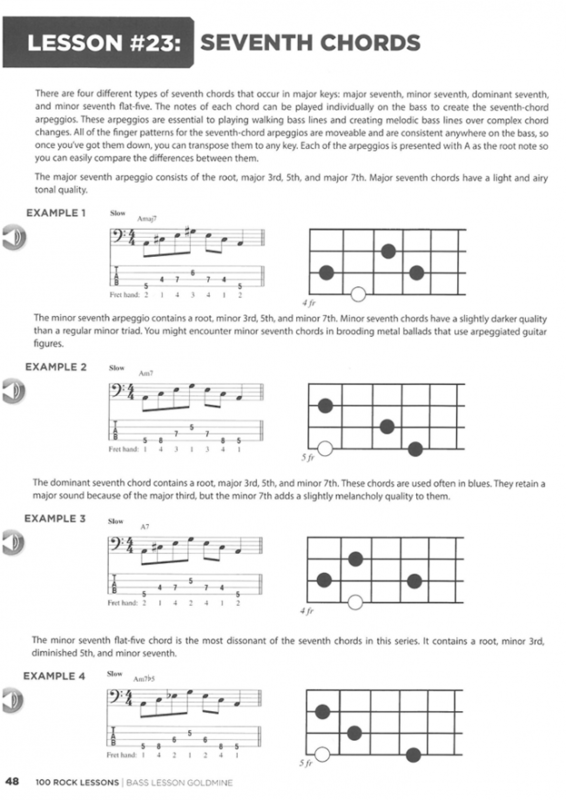 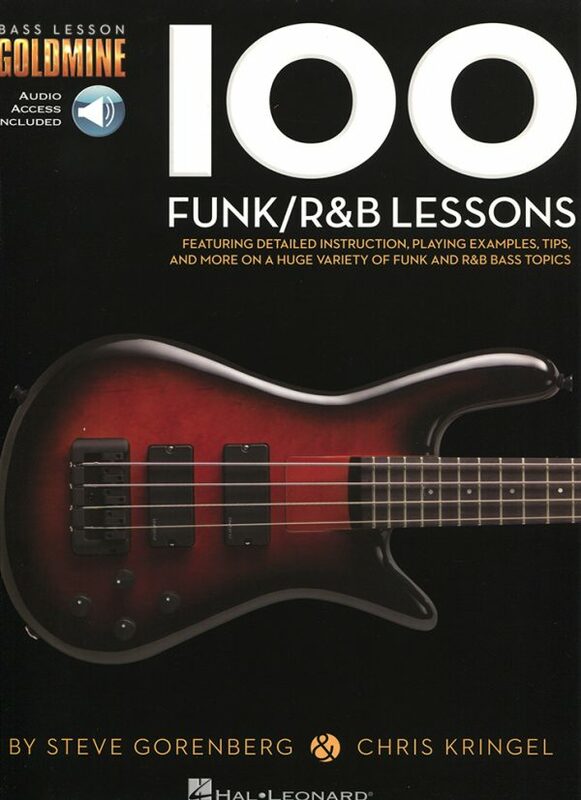 Featuring 100 individual modules covering a giant array of topics, each lesson in this Rock volume includes detailed instruction with playing examples presented in standard notation and tablature. 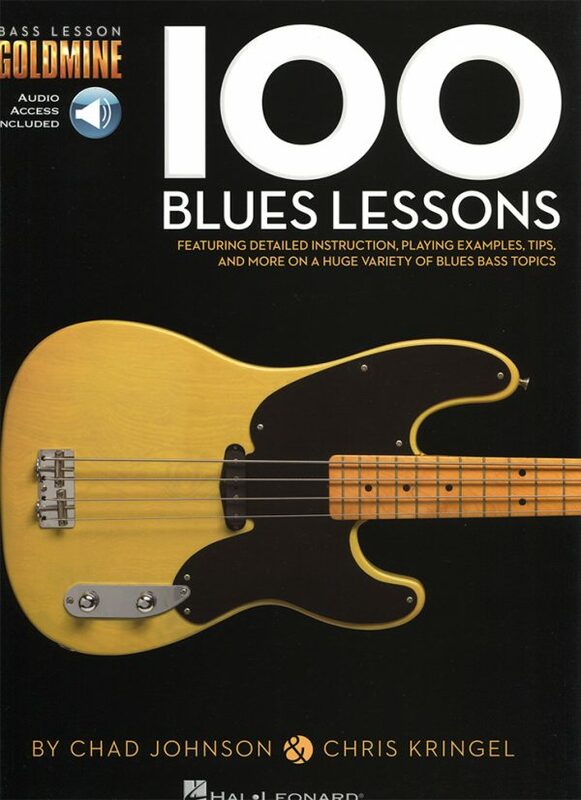 Expand your bass guitar knowledge with the BASS LESSON GOLDMINE series! 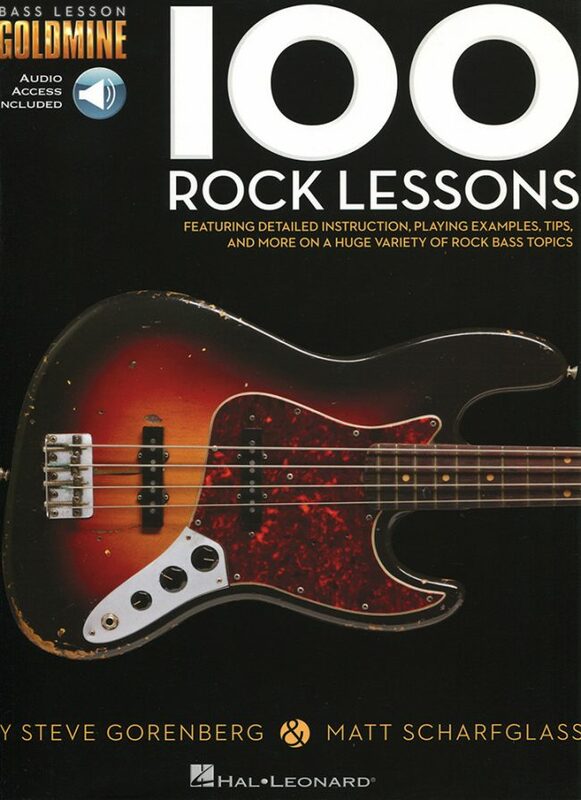 Featuring 100 individual modules covering a giant array of topics, each lesson in this Rock volume includes detailed instruction with playing examples presented in standard notation and tablature. 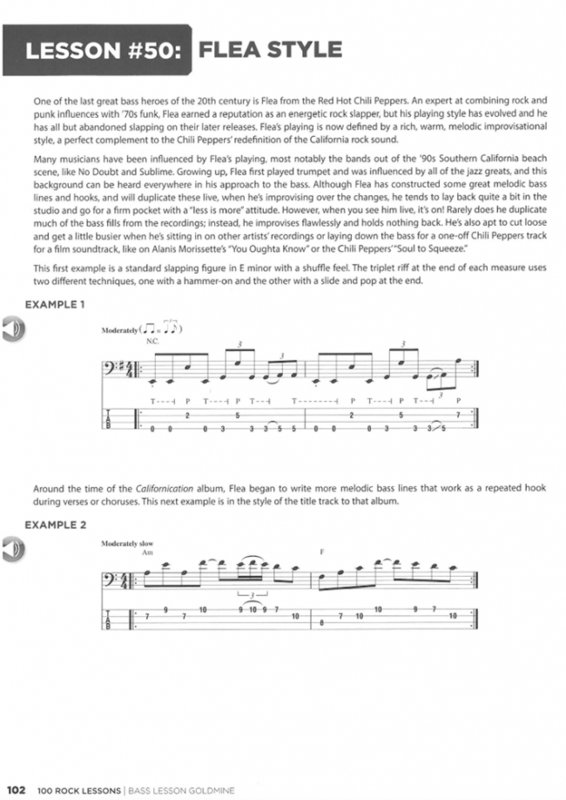 You’ll also get extremely useful tips, scale diagrams, photos and much more to reinforce your learning experience, plus access to hundreds of audio tracks with performance demos of all the examples in the book.